U.S. customers can order Quest Group products via Fax. Please click the links to download the U.S. Order Form and Price List. We are currently developing the U.S. shopping Web site. Information You Give Us: We receive and store any information you enter on our Web site or give us in any other way. You can choose not to provide certain information, but then you might not be able to take advantage of many of our features. We use the information that you provide for such purposes as responding to your requests, customizing our site, improving our processes, and communicating with you. Automatic Information: We receive and store certain types of information whenever you interact with us. For example, like many Web sites, we use “cookies,” and we obtain certain types of information when your Web browser accesses Quest Group or advertisements and other content served by or on behalf of Quest Group. E-mail Communications: To help us make e-mails more useful and interesting, we often receive a confirmation when you open e-mail from Quest Group if your computer supports such capabilities. We also compare our customer list to lists received from other companies, in an effort to avoid sending unnecessary messages to our customers. If you do not want to receive e-mail or other mail from us, please notify us. Does Quest Group Share the Information It Receives? Information about our customers is an important part of our business, and we are not in the business of selling it to others. We share customer information only as described below and with subsidiaries Quest Group controls that either are subject to this Privacy Notice or follow practices at least as protective as those described in this Privacy Notice. Promotional Offers: Sometimes we send offers to selected groups of Quest Group customers on behalf of other businesses. When we do this, we do not give that business your name and address. If you do not want to receive such offers, please notify us. organizations for fraud protection and credit risk reduction. Obviously, however, this does not include selling, renting, sharing, or otherwise disclosing personally identifiable information from customers for commercial purposes in violation of the commitments set forth in this Privacy Notice. number to the appropriate credit card company during order processing. If you choose to visit Quest Group, your visit and any dispute over privacy is subject to this Notice, including limitations on damages, resolution of disputes, and application of the law of the state of Utah. If you have any concern about privacy at Quest Group, please contact us with a thorough description, and we will try to resolve it. Our business changes constantly and our Privacy Notice will change also. We may e-mail periodic reminders of our notices and conditions, unless you have instructed us not to, but you should check our Web site frequently to see recent changes. Unless stated otherwise, our current Privacy Notice applies to all information that we have about you and your account. We stand behind the promises we make, however, and will never materially change our policies and practices to make them less protective of customer information collected in the past without the consent of affected customers. We guarantee the quality of the product we sell and provide our customers with a 100% money back guarantee on product purchases. If for any reason you are not satisfied with the product, please notify the Quest group Japan Support Center (JSC) within 30 days of purchase. We will refund to you the purchase price for all products, which excludes the shipping charges. Return of Product to Quest Group If product received was damaged in transit or defective product, we will exchange it for a replacement. To return product to Quest group a RMA return merchandise authorization is required. In order to receive a RMA, please contact the JSC (Japan Support Center). If members withdraw from group quest, products that have not been opened within 90 days from the date of purchase, we will refund the product purchase price less a 10% re-stocking fee. For products other than NeoSource: Unopened product can be returned to the Japan Support Center (JSC) within 30 days after purchase, and the product purchase price will be refunded less any rebates or discounts that may have been applied to the purchase price. Access to Quest Group’s natural health solutions could not come at a better price. Shopping Points are our way of congratulating our loyal Members for success in choosing a healthier lifestyle. As Members continue to enjoy the benefits of NeoSource, we reward them every month with more Shopping Points that they can redeem for free product. They also earn Shopping Points for friends and family that they refer. When you have good health, the world is a brighter place and sharing your healthy success comes naturally. We don’t ask our members for referrals, but we can’t seem to stop it either. It just comes naturally! Who can see a great new motion picture and not tell their friends. Our members feel the same way when they personally experience healthy results from NeoSource. Every quarter we publish our Natural Health News (currently only in Japanese) with the latest information about Quest Group’s natural health solutions, current promotions, and letters submitted from Quest Group Members sharing their healthy results with NeoSource products. Whether you need assistance from our U.S. offices or from the Japan Support Center, we love to help. If you have a question or a comment please contact us by phone, email, fax or mail. Over 70% of our customers purchase from us regularly and we have a 99.9% customer satisfaction rating. The U.S. Health Care system is in a crisis. Spending on health care has increased 42% in the past 10 years and is expected to grow to over 20% of the total economy by the year 2020. The nation cannot afford it. Japan and other countries are experiencing a similar situation. The sad tragedy is that in spite of this increased spending, the rates of illness and disease are rising. The good news is that because of this crisis, the choices that we have for health care are expanding. More and more people are turning to alternative solutions and learning how healthy eating and nutritional supplements can unleash the amazing power of their body’s natural healing system. Often, poor health choices are made due to a lack of knowledge. Quest Group’s mission is to inform people of natural health solutions and introduce new effective products and services that can make a significant difference in their lives. 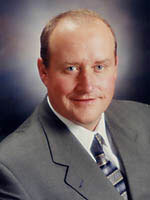 Quest Group was founded to provide natural health solutions. We have partnered with top scientists and nutritional experts to develop superior products and health programs that have helped thousands of people around the world overcome common health problems – without using harmful and dangerous drugs. We invite you to learn for yourself how easy it can be to overcome illness, disease, and weight problems. Try the NeoSource products, a natural health solution, and unleash the power of your body’s natural healing system. The Quest Group Mission is improving the health and happiness of the world, one person at a time, through the effective nutritional products and personal improvement opportunities we provide. Our Vision is Simple: Provide 1,000,000 customers with natural health solutions annually. Encourage teamwork and cheerfully support each other. Honor our commitments and financial stewardship. Constantly seek innovation and quality improvement. Strive for excellence in all we do to ensure that the customer is the first beneficiary of our efforts. Quest Group continually seeks the highest standards of quality and purity in the ingredients used in NeoSource® products. Quality is paramount to our success in accomplishing our mission to deliver natural health solutions. Seeing our vision come to life is dependent on our customers having a successful result from NeoSource. In recent years, clinical studies by research scientists from major universities around the world are validating the amazing effectiveness of natural food supplements. NeoSource® products are a unique blend of these natural ingredients. Hundreds of natural ingredients are combined to create simple products that are easy and convenient to use. The active ingredients in NeoSource® grow naturally with widely varying degrees of potency. During the production process, active ingredients in these food sources are scientifically isolated and measured to ensure that each NeoSource® capsule contains the same amount of each active ingredient. NeoSource™ combines only ingredients that are proven by clinical studies and recognized by the U.S. Food and Drug Administration to be safe. Raw material analysis for the presence of microbials, toxins, heavy metals, and other contaminates are performed on all ingredients is performed prior to production. Active ingredient amounts are based on dosages proven effective through clinical trials and U.S. government regulations. Certificates of Analysis from each product run are kept on file. Each product label has clear instructions for use and contains appropriate warning information. Everyone benefits from improved nutrition. Good nutrition is required so the natural healing system in the human body can repair and rejuvenate itself with the ability to fight illness and disease. 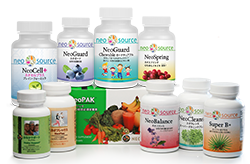 NeoSource™ products are guaranteed to give you healthy results. You have nothing to lose. You don’t get that guarantee on an inferior multi-vitamin, and you don’t get that guarantee on the expensive drugs prescribed by your doctor. How can we continue to offer this guarantee? Because after thousands of products sold, we have a 99% product satisfaction rating. If you are not completely satisfied with NeoSource™ products, we will gladly offer you a refund and wish you well in your search for better health. Research – Quest Group has partnered with scientists from the world’s leading natural products suppliers to identify key active ingredients in many herbal and natural plant foods known to be effective in fighting illness and disease. Through these partnerships we develop leading edge products of unparalleled quality and excellence. Synergies – Creating an alliance of specialized companies offering top quality and services around the world, Quest Group is truly unique in the natural supplement industry. Science – The natural supplement industry is growing rapidly and no one scientist or company has all the answers. Through our alliance with leading scientists and suppliers, we have access to shared resources on the latest research and product development from the U.S. and around the world which means that our customers benefit enormously from the expertise and infrastructure of a global network. Product Development – This organizational model generates substantial synergies that enable us to deliver our top quality NeoSource® brand of natural health solutions to our customers in the U.S. and in Japan. Quest Group’s unique products and delivery systems benefit the consumer in Japan with natural health solutions that would otherwise not be available in their country. Products are shipped daily from our Los Angeles warehouse, delivered quickly to our customer’s doorstep anywhere in Japan – usually in less than one week. Satisfaction Guaranteed – We are truly very well appreciated by our customers – we have a 99.9 + percent customer satisfaction rating and a re-order rate that exceeds 70%. Our Customers benefit directly from our globally accumulated expertise, R&D capacities, diverse product lines and fast delivery of products unavailable from sources in Japan. NeoSource products are formulated using latest scientific research that has identified key active ingredients in natural plant foods. Pharmaceutical science techniques are deployed to extract these key ingredients to develop natural products of unparalleled quality and effectiveness. We have partnered with top scientists and nutritional experts to develop NeoSource products and health programs that have helped thousands of people around the world overcome common health problems – without using harmful and dangerous drugs. Key to NeoSource effectiveness is the synergistic blend. Isolated herbs are helpful and scientific tests have proved positive the effects of individual herbs. However, new tests indicate that certain vitamins, minerals, herbs and antioxidants are more effective when combined. That’s why the NeoSource blend works so well. NeoSource contains phytonutrient vegetables, superfoods, sea/fresh water vegetation, adaptogenic and standardized herbs and offers a complete nutritional profile from 100% natural, whole foods to provide the natural factors that are commonly missing in synthetic vitamin and mineral supplements. Phytonutrients, also known as phytochemicals, are the natural components recently isolated in dark pigments of vegetables and fruits. These nutrients feed the body what it needs to fight off illness and disease. Adaptogenic herbs help promote healthy cell regeneration in the body. By helping to normalize important body functions, adaptogens nutritionally support the body’s natural balance and “adapt” to more efficient functioning. Additionally, NeoSource contains approximately 74-plant based, naturally chelated, trace minerals derived from our exclusive Sea Life Blend. The Sea Life Blend consists of eight varieties of sea vegetables freshly harvested from shallow, mid-level and deep water…a source virtually unaffected by air pollution, water pollution, and harmful chemicals.